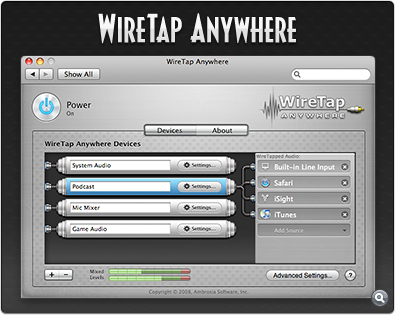 Interface Design for Ambrosia Software‘s WireTap Anywhere. 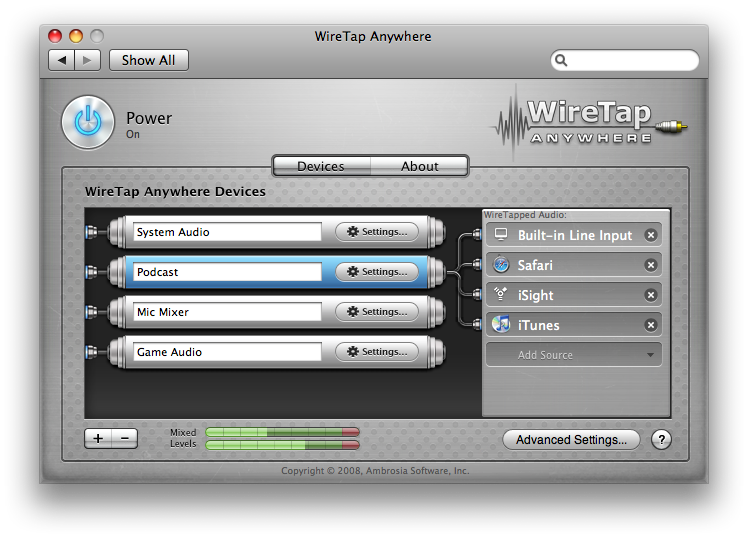 WireTap Anywhere is a suite of components that lets you take the audio output from any Mac application or hardware input device and bring it into your favorite audio recording application. Marcus Conge of Ambrosia Software did a great work on additional graphics, logo and everything else. You can view WTA in action at WTA Overview Video. Please check your e-mail (sent to both) and get in touch?